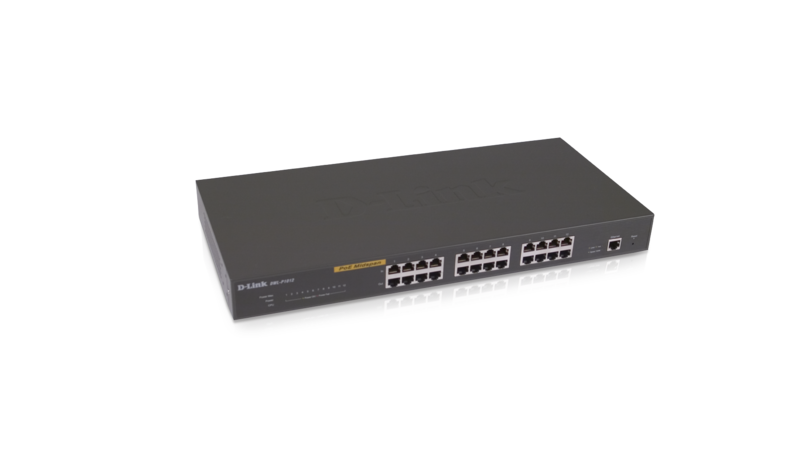 The D-Link DWL-P1012 is a 12-port PoE Midspan designed specifically for business-class environments seeking to add secure and manageable power over LAN options without having to replace existing hardware. D-Link®, an industry pioneer in networking solutions, introduces a line of new Power over Ethernet (PoE) Midspans designed to help simplify network maintenance and deployments for small to medium businesses. The D-Link DWL-P1012 is a new 12-port PoE Midspan designed specifically for business-class environments seeking to add secure and manageable power over LAN options. As network implementations continue to grow within a corporation, hardware integration and management become increasingly complex. This Midspan converts standard 110-240VAC power into low-voltage DC that runs over existing LAN cabling (CAT5 or better) to power up 802.3af compliant network accessories. This DWL-P1012 features 12 integrated 802.3af Power over Ethernet (PoE) ports capable of supplying up to 15.4 watts of power per port. By adding this PoE midspan to existing network infrastructures, installing networking products such as IP telephony devices, Access Points and IP security cameras can be easily managed and set up. With a 1U 19” form factor, adding the DWL-P1012 12-port PoE Midspan to a network switch rack is a straightforward process. From there, delivering power and data to the other 802.3af compliant networking devices simply becomes a plug and play solution just by using standard CAT5 or better Ethernet cables. Wireless device deployments are no longer confined to locations with available power outlets and network administrators no longer need to deal with bulky AC power adapters. To truly optimize the performance features of multi-port PoE midspans, multiple units of the DWL-P1012 12-port PoE Midspan can be deployed to provide a central power source to the entire network LAN infrastructure. This ensures continuous operation during power failures and also eliminates the time and cost of installing separate power cabling and providing a dedicated, uninterrupted power supply for individual terminals and networking devices. Just connect the Midspans to a Uninterruptible Power Supply (UPS) for guaranteed power in case of unforeseen emergencies. The DWL-P1012 also features intelligent PoE awareness, meaning the Midspan will verify that the network device receiving power is 802.3af compliant; otherwise, only data will be sent through the Ethernet wire. The DWL-P1012 12-port PoE Midspan features a management port that can be managed via D-Link’s web-based HTTP GUI or through the Web-Smart Utility. Advanced management includes SNMPv1 with MIB2, PoE MIB, and Private MIB. In addition remote access allows monitoring of port level operating status, as well as power shutdown/regulate to a given port. With simple installation and advanced management tools, the DWL-P1012 PoE Midspan is a cost-effective solution to the business networks seeking to upgrade and simplify their existing network infrastructure.